Welcome to the PDSA apprenticeship portal, provided by The College of Animal Welfare. Here you can find out more about the range of services offered to your practice. 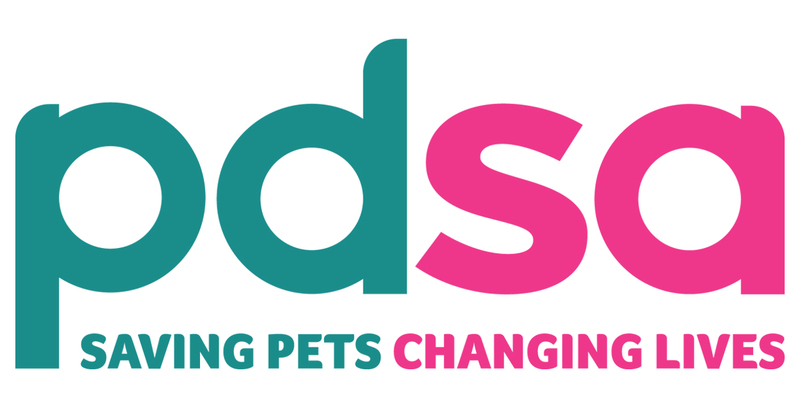 PDSA are a dedicated team who are passionate about pets. Committed to helping you do your job well PDSA will provide the tools you need to build trusted relationships, to take ownership to make effective decisions – and to develop and share knowledge that will help you to excel. The College of Animal Welfare (CAW) have worked with PDSA for a number of years. Training in excess of 20% of the UK’s veterinary nurses. Supporting approximately 500 recognised veterinary training practices CAW are therefore well placed to understand the needs of the animal welfare and veterinary industry. As a large organisation apprenticeship course fees are payable by the PDSA digital account service using levy funds available. Therefore please contact Head Office if you are unsure of what funds are available for your centre before applying. Invoices for training are to be sent directly to Head Office and funds deducted accordingly. For an apprentice a training agreement is required which will be provided by CAW. This will need to be signed by the person undertaking the apprenticeship, the Practice Principal as well as a CAW representative. Did you know that as your practice is part of large organisation with a payroll bill of over £3 million you are considered a levy paying company? This is great news because it means each month your employer is required to pay into a digital account and these funds can then be spent on apprenticeships for you and your team! As all apprenticeship fees are paid by your employer, either solely from the digital account or partly from the digital account and partly as an additional financial contribution, you don’t need to pay anything yourself. Apprenticeships are a great way in which a qualification can be studied whilst still working within practice. Here at The College of Animal Welfare we provide a number of apprenticeships that you can consider. The Advanced Apprenticeship in Veterinary Nursing is run on a day release basis from Huntingdon, Potter Bar and Leeds centres with intakes in January, April and September each year. It is also available in a block release format from Huntingdon beginning in January. The VN apprenticeship includes the Level 3 Diploma in Veterinary Nursing and therefore throughout this course a variety of subject areas will be covered such as anatomy and physiology, diagnostic imaging, animal handling and fluid therapy. You will undertake a number of assessments including online examinations, assignments and case studies. You will also complete a Nursing Progress Log (NPL) as evidence of practical competence and a final practical examination (OSCEs). To undertake the course you must have a minimum of five GCSEs at grade C or above (4-9) including English Language, Mathematics and a Science subject. You will also need to be working in a recognised Training Practice (TP). If your practice is not a TP please do get in touch to find out how your practice can become one. No additional employer contributions are required as the programme costs are fully met by your Head Office Levy digital account. Throughout this apprenticeship the City & Guilds Level 2 Diploma for Veterinary Care Assistants will be studied. This qualification is expected to take approximately 15 months to complete and it is available to be started at any time as no college attendance is required. Throughout these units a range of subjects will be covered such as basic anatomy, signs of normal and abnormal health, feeding requirements and appropriate client advice. There are no formal academic entry requirements for this course. Although you will need to be working within a veterinary environment, please note this does not need to be an RCVS approved Training Practice (TP). As you work within a levy paying practice fees are made up of two parts as below and are payable by your employer. For both the courses above you will be assessed to ensure that you have the skills, knowledge and behaviours required. This will include covering content such as operational management, building relationships and personal effectiveness. Start dates for the apprenticeships are June and November. The Level 3 apprenticeship should be completed in 12 months and the Level 5 apprenticeship is expected to take approximately 30 months to complete. There are no formal academic requirements however most individuals will usually have 5 GCSEs at grade C or above (4 – 9). Both these courses are work-based so no attendance at college is required. Instead you will be supported by an assessor who will regularly visit your place of work. There are no formal academic entry requirements. However, you will need to be living and working in England in a role that involves regular contact with clients, within a 90 minute radius of our Huntingdon, Potters Bar or Leeds centres. For the Advanced Apprenticeship you will need to be in a more supervisory/managerial type role e.g. reception team leader or practice manager. Throughout the course a variety of units will be studied including topics such as preparing accommodation, restraining animals and preparing feed for animals. There are no formal academic entry requirements. However, you will need to be living and working in England, within a 90 minute radius of our Huntingdon, Potters Bar or Leeds centres. For the Advanced Apprenticeship you will need to be in a supervisory or managerial type role. As you work within a levy paying practice fees are as below. No additional employer contributions are required as the programme costs are fully met by your Levy Digital Account. These fees are fully inclusive of registration, awarding body fees and first exam and End Point Assessment attempts. This recognised qualification is designed specifically for receptionists within a veterinary environment. Throughout the course you will undertake five units and will cover content such as client communication, veterinary terminology, basic animal behaviour and supporting clients who are facing the death of an animal. It is expected the course will take between 6 – 12 months to complete. It is studied by distance learning and therefore the only college attendance required is to undertake the final exam. There are no formal academic entry requirements although a sound level of numeracy, literacy and ICT skills will be required. You will also need to be working or volunteering on reception in a veterinary practice for a minimum of 8 hours each week. There are two ILM qualifications within this section that are ideal for clinical coaches and mentors. Both these recognised qualifications take between 6 – 9 months to complete. Your course will be studied via blended learning; a combination of online learning and attendance at college for two study days. There are no formal academic entry requirements to undertake this programme. However, you should be working in a role where you are involved in coaching other members of staff. If you work within one of our TPs or supporting one of our students you can enrol on this course for £325. If you are working within one of our TPs or supporting one of our students you can enrol on this course for £975. Ideally the monitoring of anaesthesia is best carried out by a qualified veterinary surgeon or veterinary nurse, however this is not always possible. It is therefore important that lay staff, who may be called upon to assist when needed, have the necessary knowledge and skills required. There are no formal academic entry requirements for this course although your Practice Principal must endorse your application. You must also have been within your role in practice for a minimum of six months prior to starting this qualification. If your practice is not currently involved in veterinary nurse training but is looking to do so you will need to become a recognised Training Practice (TP). This will allow you to train your own staff or take on placements students. To find out more about becoming a recognised training practice do get in touch using the contact details displayed. It is clear that there is a shortage of veterinary nurses within the industry. However there is certainly not a shortage of individuals who want to become Registered Veterinary Nurses (RVNs). The bottleneck is the amount of placements that are available to support them. Offering a placement can be a great way to add an enthusiastic person to your team. There are no course fees or wages to pay and you may even gain a fully qualified member of staff at the end! We are always seeking new practices to be involved within our placement scheme for both our diploma and degree veterinary nursing students. Our Placement Liaison Team will happily talk you through the process and look at any available students in your area. This is a unique conference aimed at clinical coaches who would like to progress in the key role they have in developing student veterinary nurses. A wide range of topics are covered over the two day event which vary each year. Previous subjects have included practical NPL advice, how to support individuals with mental health challenges and motivational mapping. Already a head nurse or practice manager? Or perhaps you are looking to become one in the future – then this congress is ideal for you. Held over two days the congress is packed full of tips designed to make your job easier! Topics vary each year but have included recruitment, well-being, managing difficult situations and Neuro-Linguistic Programming (NLP). A number of short courses are also available at each of our four centres throughout the year (Huntingdon, Potters Bar, Leeds and Edinburgh). Our courses are designed to provide you access to a multitude of learning opportunities that are delivered by professional speakers. Certificates of attendances will allow you to evidence your attendance in your professional development record where applicable. The range of topics varies with subjects being covered including how to deal with difficult cats, nursing the cancer patient, rabbit anaesthesia and handling reptiles. If you need further support or have any questions please do get in touch and we will happy to help!